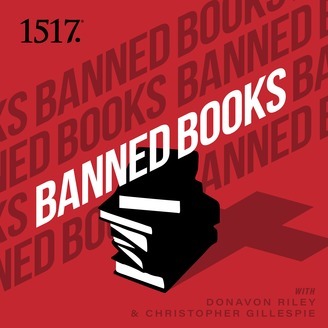 Welcome to Banned Books, where we read and converse with the rebel children, the holy mischief-makers of God, who fight against the kind of useless religious, spiritual, and moral methods of life improvement that seeks to smother the glory of God in Jesus Christ. We want to introduce you to those who forgot everything except Jesus Christ and him crucified. We all struggle with fear of being last, lost, least, littlest, and dead, and so we are here to encourage, challenge, provoke, and maybe even offend you by introducing you to theologians who at one time or another were banned by their church, declared dangerous, or simply vilified for daring to confess that Christ alone is the way, truth, and life. Welcome rebel children, holy mischief makers, and fools for Christ. This podcast is for you. Riley and Gillespie tackle a daily devotion from one of the OG’s of the Holiness Movement, Oswald Chambers. Questions? Comments? Show Ideas? Send them to us at BannedBooks@1517legacy.com. 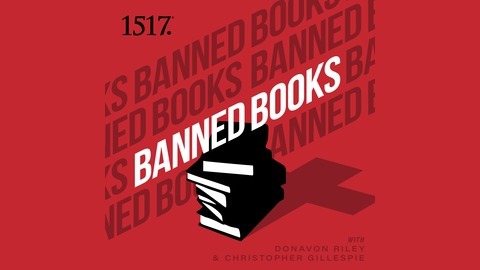 Please subscribe, rate, and review the show in Apple Podcasts: https://itunes.apple.com/us/podcast/banned-books-podcast/id1370993639?mt=2. We’re proud to be part of 1517 Podcasts, a network of shows dedicated to delivering Christ-centered content through weekly, monthly, and seasonal audio platforms. Our podcasts cover a multitude of content, from Christian doctrine, apologetics, cultural engagement, and powerful preaching. Find out more at 1517. And as always, don't forget Gillespie's coffee for your caffeinated needs and especially the 1517 Reformation Roast. 49: Charles Spurgeon - God or Self- Which?